We're now taking registrations for our spring session...featuring the TAMBOURINE collection! 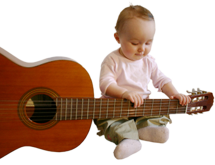 Eight weekly, 45-minute classes include songs, rhythmic rhymes, movement, and instrument play. 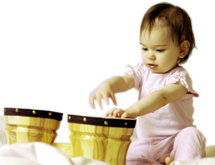 These activities are presented as informal, non-performance-oriented musical experiences--developmentally appropriate for children and easy for parents and caregivers--regardless of their own musical ability. A beautifully illustrated songbook and CD are included! *Please email or call if you don't see a class time that works for you. I'm happy to discuss other possibilities!